A nice refreshing glass of sangria is often my drink of choice during the summer months. I admit, I am not much of a wine drinker but I do enjoy the sweetness and fruitiness of sangria. Last week, I hosted our monthly “girls night out” which we affectionately call “Book Club,” even though the only book all of us ever read was The Barkeepers Best Friend. “Book Club”, you see, has nothing to do with books, it’s just a way for us girlfriends to get together and talk about life. It’s good to do that. Girlfriends are the best! Aren’t they? Anyway, at each “book club” meeting, the host has a featured drink. Since we are in the middle of strawberry season here at Russo’s, our family farm, I thought I would make a sangria with a twist.This sangria is a break from the traditional in that it is made with Jersey Fresh strawberries and Moscato wine (my absolute favorite type of wine.) It’s light, it’s refreshing and it’s great for a crowd. This really is a perfect drink for company because it makes a lot. Grab a glass, sit down, relax and enjoy. I hope you like it. What’s your favorite go-to summer drink? 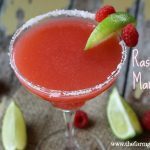 This refreshing sangria is a made with a twist.....strawberries and Moscato wine. It's great for a crowd too. In larger pitcher, combine all ingredients. Mix well. Chill at least 30 minutes. Serve over ice. « No-Bake Strawberry Cheesecake Parfaits! OH yum! Never thought to do strawberries for Sangria! 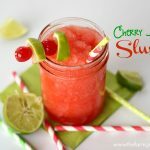 I don’t drink but I bet this would be still super yummy with just the ginger ale! sounds perfectly refreshing for summer! I must, must, must try this. 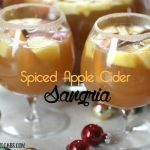 My husband absolutely loves sangria and strawberry flavor sounds so refreshing! Pinned it! I want some of that now!! This looks amazing! I love fresh strawberries. This looks soooo yummy and refreshing! Thanks for sharing it is Labour day weekend here in the Bahamas and I am solo looking forward to enjoying this ! This looks amazing. I have most of the ingredients so I may give it a try this weekend when the boys are at their sleepover.